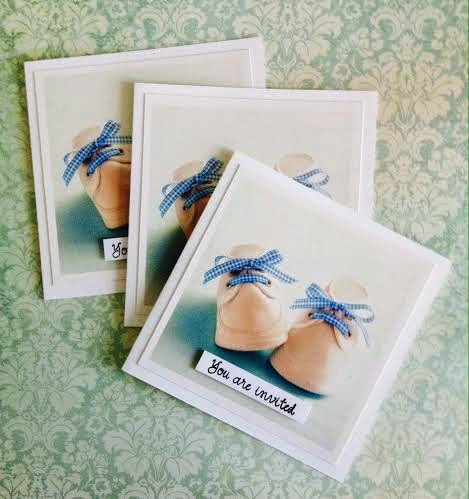 Quick post and a picture of my sons baptism invitations that I made. They are very simple but I think cute and pretty. I couldnt find a stamp with a baptism theme so I had to improvise. I used a birthday stamp set instead.